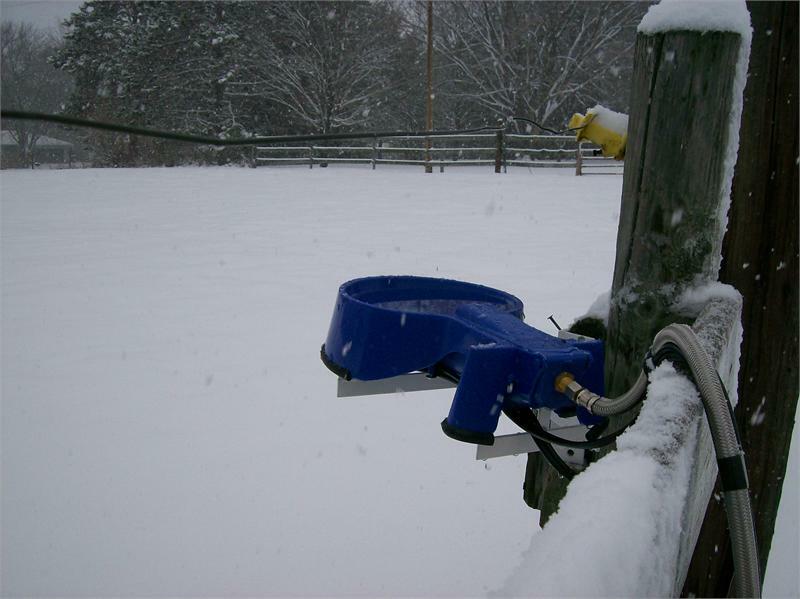 Energy efficient water-freeze protection for your animals: This heat cable has a built-in thermostat that turns the power on and off at temperatures just above freezing. The cable consumes 5 watts per linear foot, just enough warmth to prevent water from freezing in sub-zero temperatures. It has an easy five minute initialization. Your Easy-Clean Water Bowl has built in mounting posts on the underside of the water bowl for connecting the heat cable. The Easy-Clean Water Bowl has slots on the underside of the bowl to hold a loop of the heat cable. The remainder of the cable is to run along the supply hose, which leads into the valve box to prevent the valve and hose from freezing. Place the water bowl upside down on a table. Begin with the cable next to the thermostat and place the cable in a pattern as shown in the photo. Insert the provided screws into the holes of the mounting posts to anchor the cable to the bowl. Use the electrical tape provided to tape the cable to the hose at 4” to 6” intervals. 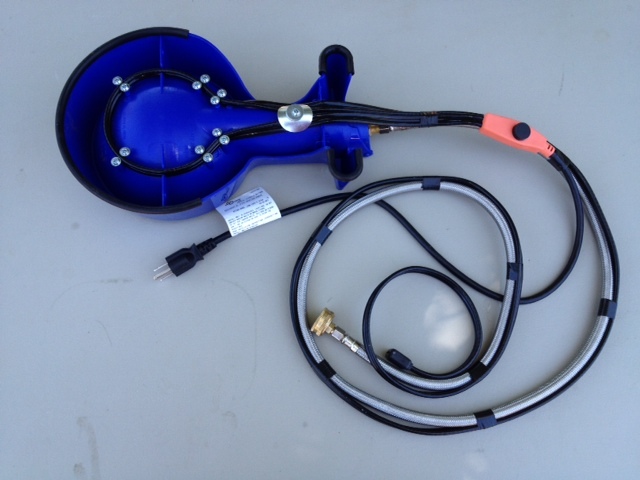 Leave a little slack between the bowl and hose to allow for the opening and closing of the float chamber.